Making the process of choosing the right tyres enjoyable for people every day. So we had this crazy idea: people should be able to find the tyres that perfectly match their needs, not the best tyres in the market. You’ll get all the information you need in just a matter of few clicks. We’ve tried to minimize all the complicated terms and describe everything in a way that will be useful for you. 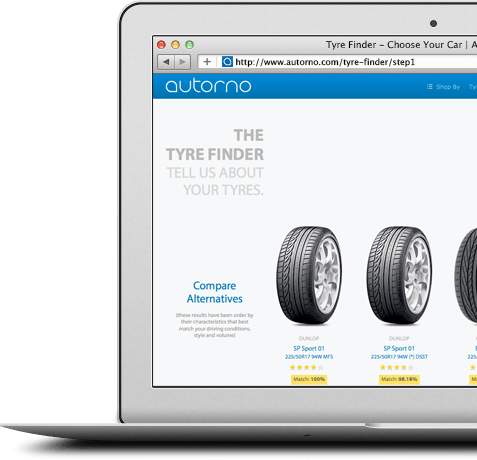 Autorno's Tyre Finder will do all the work for you. 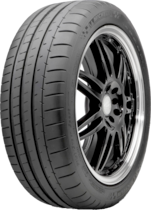 You can find the right tyres for you in less than 90 seconds. It’s completely new experience and it’s Fun. All the knowledge, none of the clutter. Autorno handles all the hassles of tyre choosing. Choosing tyres is difficult. So many different characteristics that are hard to understand. So many new features. So many applications. And to make things even worse, hardly any of the tyre sellers provide a way to compare the different models. Most of them even don’t show any useful information other than a short generic description, a photo and a price tag. So if you want to do a research on which tyres will be best for you, you’ll need to spend quite the time on looking for information, comparing, sorting, etc. It’s time consuming and boring. It can be a complete waste of your time. That’s why so many people skip this process and make blind decisions. They use recommendations from friends, colleagues, “tyre consultants”. 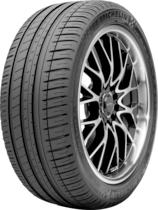 They use tyre reviews and tyre tests data to get the best performing tyre. Or they just get the cheapest one. Autorno’s Tyre Finder transforms your needs into tyre characteristics and prioritises the tyres that best match your needs. The problem with this is you end up buying something that doesn't match your needs. You may end up losing money by buying expensive features you don’t really need. Or you can lose money by buying tyres with great performance, when you really need longer life and outstanding fuel efficiency. We understand that every person has his own needs, and needs tyres specially made to to this job. Autorno’s Tyre Finder transforms your needs into tyre characteristics and prioritises the tyres that best match your needs. All this work is done in a matter of seconds, with just few clicks, without much effort from you. You won’t believe how easy and fun this can be.